These words (inspired by Psalm 119) come from Mary Ball, founder and executive director of Holy Family Catholic Adoption Agency, which has offices in Saint Paul, Minnesota, and South Bend, Indiana. While there is a difference between expressing a belief and living it out with conviction, it is apparent that Mary does the latter. Before founding Holy Family, Mary was a practicing attorney. At that time, a friend who was also an attorney had the vision to bring couples hoping to adopt a child to the sidewalks in front of a Minneapolis abortion facility, to witness to adoption as a loving answer to abortion. God then laid on Mary’s heart the idea of starting an adoption agency. She prayed about it and sought advice from her spiritual director. He said, “If God wants it, it will be. If God does not want it, you don’t want it either.” The answer became clear, and in October 2001, Mary founded Holy Family Catholic Adoption Agency. Holy Family is no ordinary agency. It relies almost solely on donations to keep its fees low. Its adoptions cost only $350—a reflection of Mary’s desire to make adoption more affordable and accessible to those who want children of their own. Even more importantly, this agency adheres strictly to Catholic principles in providing adoption counseling to birth parents and prospective adoptive couples, home assessments, and training for adoptive couples. During the process of founding Holy Family, Mary was blessed to find a Catholic social worker, with an advanced degree, to determine family suitability. When screening prospective adoptive families, Holy Family asks couples to provide a reference from a Catholic priest, and make every effort to attend weekly Eucharistic adoration, pray the Rosary as a family, go to confession frequently, and if possible, attend daily Mass. Holy Family discusses faith matters with the couples, including parish life. During these conversations, it becomes obvious whether the interviewees are practicing Catholics—or not. Holy Family is willing to work with prospective adoptive couples who are non-Catholic but seriously interested in becoming practicing Catholics. This approach allows the couples to see the beauty of the Catholic faith from a different perspective, and thus it can work in powerful ways. Some of Holy Family’s birth parents come from Mary’s work in sidewalk counseling at abortion mills, where she offers expectant mothers the life-affirming option of adoption rather than abortion. Mary herself works directly and forms relationships with many of these expectant mothers. Otherwise, Holy Family’s services are marketed largely by word of mouth. As Mary points out, there is much work to be done. Only about one percent of babies are placed for adoption,1and many decide to abort their children because they do not know or even think about their options. So, Holy Family tries to raise awareness about adoption, and amazing things have happened as a result. While there are many stories, one is particularly notable. Mary and a prospective adoptive mother went regularly to the sidewalk in front of an abortion facility every Tuesday for about a year and held signs promoting adoption. They were there every Tuesday—except one. On that Tuesday, someone had volunteered to hold Holy Family’s adoption sign in their absence. And on that day, a woman went in for an abortion. The man with her insisted on it. After having an ultrasound, the woman couldn’t go through with it but didn’t know what to do. Then she saw the sign that Mary normally held, took one of Holy Family’s business cards from the person holding the sign, and called Holy Family. The pregnant mother met with Mary the same day. She asked Mary to choose a couple, but Mary brought out pictures of some prospective adoptive couples, and told the pregnant mother to look at them and see if that helped her choose a couple. After looking at each picture, she chose the photo featuring the woman who faithfully went with Mary on Tuesdays to the abortion facility—except the day that the pregnant mother was there! The baby was born some months later, and the adoptive couple was able to take the baby home just before Christmas. On Christmas Day, the birth mother signed the consent forms—a step required to legalize an adoption—and placed the baby in Holy Family’s care. The birth mother was euphoric, for she knew her child was in good hands. While her emotions were still high, she went outside and started crying. A man who saw her asked why she was crying, and she told him about her decision to place her child for adoption. “That’s wonderful!” he said. That was the only time this young mother ever cried about this event. She knew she had done the right thing. 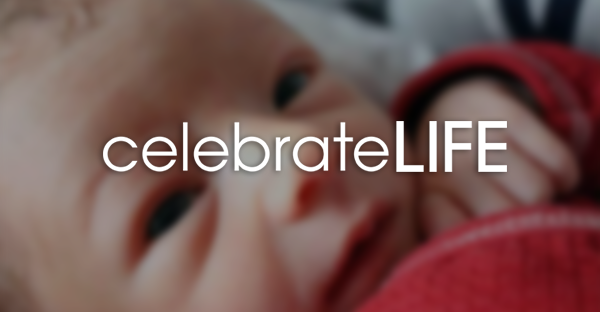 Her decision to choose life and a loving family for her child was a Christmas miracle that saved one life and changed the lives of many others. The mother has stayed in touch with Mary and now thinks of herself as a hero for two reasons. The first and greatest is that she did not have an abortion. The second is that she has seen pictures of the couple and her child, and knows that her adoption decision has made the couple happy. 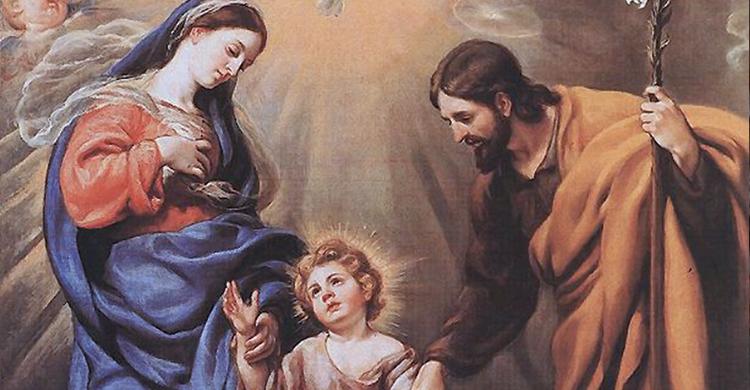 Mary’s vision for Holy Family is remarkable. Not only do Holy Family’s low fees make adoptions accessible to many who otherwise could not afford to adopt, its adherence to Catholic principles in all aspects of the adoption process makes it a truly Catholic adoption agency. In fact, Archbishop John Nienstedt, of the Archdiocese of Saint Paul and Minneapolis, has formally recognized Holy Family as a Catholic adoption agency. Nonetheless, Holy Family’s greatest accomplishment is that it provides adoption as the loving answer to abortion. This was how Blessed Teresa of Calcutta viewed adoption. Moreover, if its adoptive families continue striving to live as devout Catholics, Holy Family has also lived up to its name by providing children with holy families to raise them. Mary Ball and her helpers have not only saved the lives of many children destined for death and spared their mothers from the pain of abortion, but have also given new emphasis to the importance of living in adherence to the tenets and practices of the Catholic faith. Clearly, Holy Family Catholic Adoption Agency has accomplished much. To learn more about Holy Family Catholic Adoption Agency, visit HolyFamilyAdoption.org, or call 651-298-0133 in Saint Paul or 574-307-3538 in South Bend. Until the end of 2014, any donation up to $10,000 will be matched.